Interesting fact: In the copying of the manuscripts of the New Testament, there have been more textual changes made by scribes over the centuries-long road to the now-canonical NT than there are words in the NT! The most interesting ones to me are not the unintentional ones like misspellings, transpositions, confusions of look-alike words, or even leaving out an entire line because of because of a homoeoteleuton (two lines whose endings look alike so that the second one is easily omitted during copying), but rather the theologically motivated changes that scribes made to the texts to support their own theology. It turns out that there are a lot of these theologically motivated changes, which isn’t surprising when you consider that there were several different competing Christianities in the first centuries. – Some thought Christ was not divine, but rather all human, until he was “adopted” by God at baptism (the Early Christian Adoptionists). – Some thought that he was not human, but wholly and only divine (the Early Christian Docetists [from the Greek dokeo, “to seem” or “to appear” because Christ only “seemed” or “appeared” to be human]). – Some thought that he was two beings, one human and one divine (The Early Christian Separatists [called this because they thought Jesus the man was indwelt by the divine Christ who then left Jesus on the cross, since God can’t by definition die]). – Some thought that he was both human and divine in one being (The Proto-orthodox Christians [called this since, obviously, they won out in the end and hence our current Christian orthodoxy, or “correct doctrine” or “true teaching”). In many places the Proto-orthodox Christian scribes made meaningful, substantive, intentional changes in the manuscripts (well-intentioned of course) to support their own belief of the nature of Christ over that of their opponents, whose belief was more supported in “original” text, ie, the oldest and best manuscripts that we have. The NYT bestseller “Misquoting Jesus: The Story Behind Who Changed the Bible and Why” by NT scholar Bart Ehrman reviews this all in a very readable and accessible way, if anyone is interested in reading more. Regarding the four canonical Gospels in the Bible, Matthew, Mark, Luke, and John, it’s interesting to see how the narratives change from Mark (the earliest) to Luke and Matthew, and finally to John (the most recent). I used to prefer Mark, since it’s the earliest Gospel, I reasoned, and so the closest to Jesus’s time. But as I learned more about the development of the Gospels, with the several decades of oral tradition (and context and agendas, etc) passing before the Gospels were even written down, and then written down only in ALL CAPS with no spaces between words (is it “GODISNOWHERE” OR “GODISNOWHERE”, to use an English example? ), and then with no originals surviving (nor copies of originals, just copies of copies of copies of … fragmentary copies), and then with 100s of years of copying individual copies by hand in a remarkably amateurish and haphazard way until professional scriptoria developed and copies began to be made with more precision and fidelity in the 4th century, I began to wonder, in light of all this, perhaps it doesn’t matter if matter if the first writing was 40 (Mark) or 70 (John) years after Jesus’s death, all four Gospels being so very far separated from his time, and none having been written by anyone who knew him. Even one of my (most everyone’s) favorite passages in John, the woman taken in adultery (7:53-8:12 – this is the “let the one without sin cast the first stone” passage), turns out not to even be original to John, but was added later by a scribe. 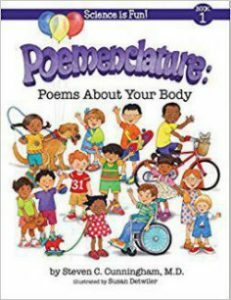 It’s still a great passage! 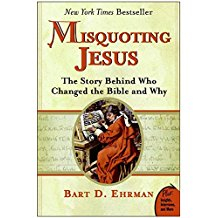 To anyone interested in reading more about this early history of the bible, I recommend “Misquoting Jesus: The Story Behind Who Changed the Bible and Why” by Bart Ehrman.